Enjoy your ride/save your hearing –how to do both, without foam earplugs. I personally have an exhaust that could give a track rider a headache and so for that weekend rip, or the big trip out on the motorway, it seems foam earplugs are a very useful inclusion to a kit list. 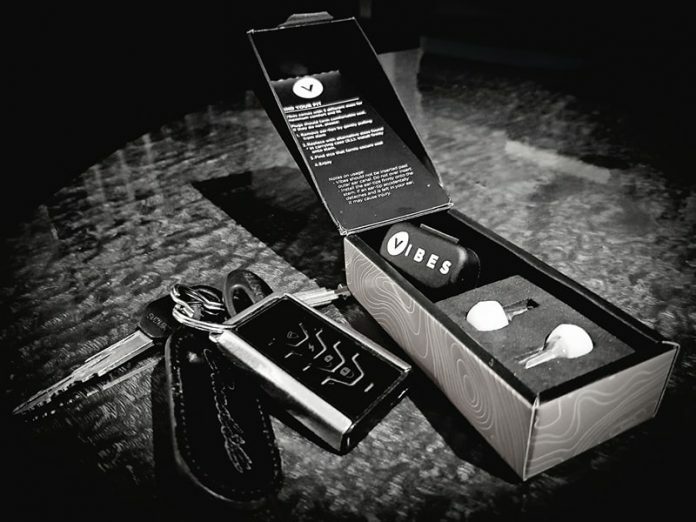 If not just for comfort but genuinely for the health of your hearing, but why opt for Vibes earplugs over your regular foam ones? destroyed by years of high decibel riding. What’s clear from the research and what most riders aren’t aware of, is that 15 minutes plus of 100 decibel sound can generate immediate and long-lasting damage. Wind noise alone can generate this level of sound and that’s without taking the exhaust into account! That’s why, for frequent riders, it’s an absolute necessity to look into ear protection and the long-term health of your hearing. Enough to worry about with the bad drivers and loose road surfaces without causing our own problems! With this in mind – I looked into what I can do to make a long journey bearable, my ears work long term and allow the ride to sound like a ride and not just a muffled, sweaty analogue, as you get with foam earplugs. That’s where I bumped into Vibes High Fidelity Earplugs. Rather than mindlessly blocking out all sound and muting even the sound of an engine, traffic and the things going on around you – they are designed to pass only a selection of frequencies, which, not only are useful but are pleasant. So how did Vibes do? On the first ride out, I worried that putting the Vibes in and then slapping my lid over them was going to jam them into my head – they are designed and provided with 3 different bud sizes to ensure you don’t need to worry about this. So the lid just slips on and the filters almost feel like they aren’t even there. Setting off, I can’t hear any of that weird internal noise you get from foam plugs, like swallowing and heartbeat – I always find that so distracting, so that’s a great point, to begin with. The wind noise is greatly reduced and the engine and exhaust sounds are pronounced but not irritating. Another problem with foam earplugs is the ache they can produce and the sweat they definitely produce over the period of wearing them… you can get used to them but they’re hardly comfortable and long term they aren’t great for your ears Vibes actually just disappear, they sit in neatly with their clever construction and they are good to wear for hours. It’s actually possible to hear your engine moving, exhaust note and a conversation from a fellow rider, all quite clearly, due to the frequency isolation technology that they incorporate. Without a doubt, these have become an integral part of my kit – no more thought than putting on my gloves and yet as important to health in the long run. Great value for money as the construction allows for almost indefinite usage. This is something you will not have to buy over and over again and when you then add in the comfort factor, they are absolutely indispensable for the feeling of a great ride. Don’t wait, pick them up now from all big online retailers. If you want to check out more Ant on a Slant gear reviews, click here.